Showcasing the latest creations from CarbonTech Software. With dual shocks and an independent steering system, the buggy is designed to provide maximum agility and stability over bumpy terrain. Due to its relatively small size however, the buggy is only able to carry smaller gauge armaments such as light machine guns, mini-missiles, flares, etc. A render created solely in Unity3d featuring a fleet of battle-damaged U.S.S. 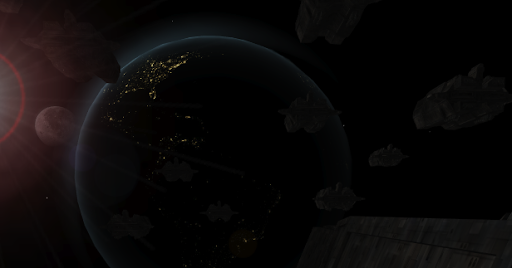 Vengeance space cruisers invading a dark planet in the distance resembling Earth. The image is quite ominous and is set in the late 24th century. 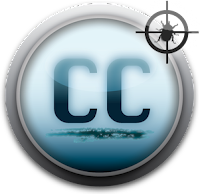 The anticipated release of Carbon Combat is coming soon; stay tuned for updates and new features! Carbon Combat is an online multiplayer game set in the future. 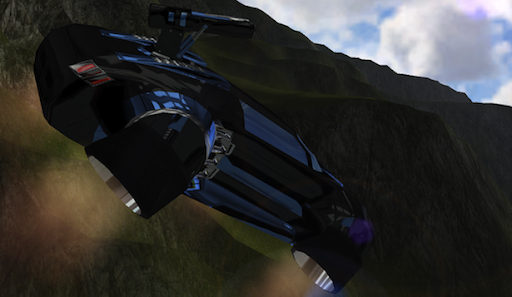 Different vehicle types do battle in classic maps such as an island with a crashed space cruiser, an abandoned nuclear silo base, and a shipwreck. One of the maps for Carbon Combat. 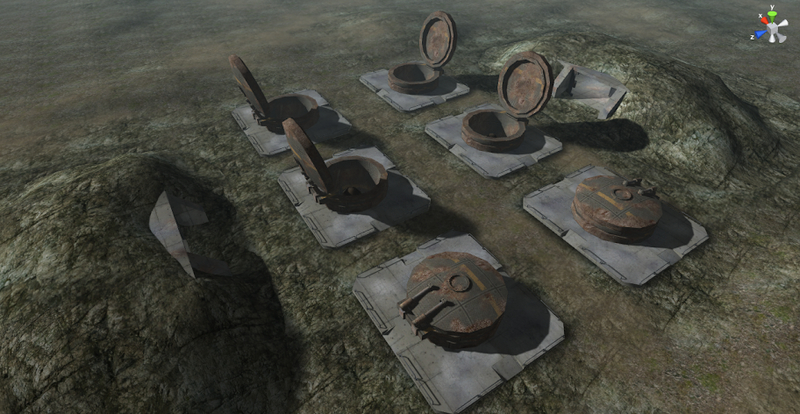 Features an abandoned military base with several launched and un-launched missiles and two underground bunkers. This map is the smallest map currently in Carbon Combat and is designed to host small three on three CTF or deathmatch style games. One of the medium to larger maps available in Carbon Combat. This map features wrecked hulk of an oil tanker stranded on a remote atol. 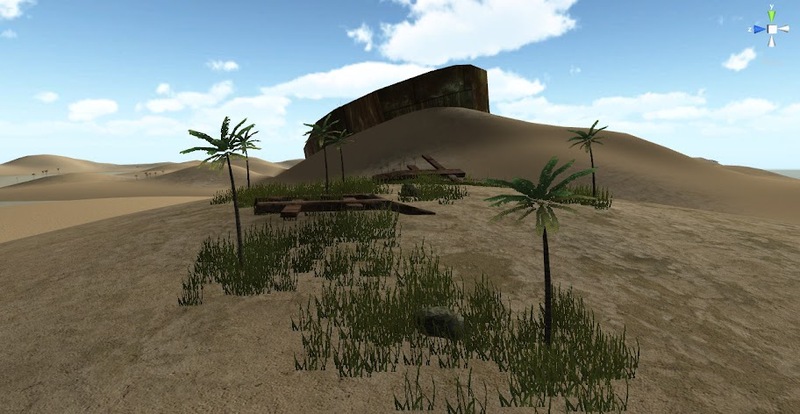 Palm trees debris help to complete the overal abandoned feel and give room to explore the vast emptiness of the map. This version of Carbon Combat is the official "bug squasher" release and manages to squash about 75% of the bugs and random glitches you've reported to me! (there were over 50 different bug reports over the past month). I'm still working on the rest and adding some really awesome new features that I'm sure you'll love. Also, the official forum is now open to the public, so be sure to join and post away! 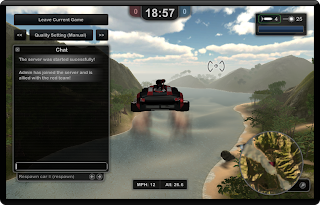 » Play Carbon Combat Now! Hello everyone! This is yet another one of my creations: an old barn in the middle of an abanoned field. This is what I call an "environment demo" where the models and overall ambience of the scene is featured (instead of some fancy programming stuff :P). The barn was 100% made by me (including the textures). Below are some stats and the demo link powered by UniEmbed. The official Carbon Combat Mac dashboard widget is now released! Complete with all the new features such as a pause screen, an awesome interactive pre-loader, enemy badges, less glitchy CTF and overall optimization. Be sure to rate Carbon Combat on Kongregate - I'll be needing the votes for the Unity Kongregate Contest! A teaser video for Carbon Combat. Watch in 480p for the best graphical experience. Enjoy! Mac OS X 10.4 Tiger is required. If you’re using Safari, click the download link. When the widget download is complete, show Dashboard, click the Plus sign to display the Widget Bar and click the widget’s icon in the Widget Bar to open it. If you’re using a browser other than Safari, click the download link. When the widget download is complete, unarchive it and place it in /Library/Widgets/ in your home folder. show Dashboard, click the Plus sign to display the Widget Bar and click the widget’s icon in the Widget Bar to open it.